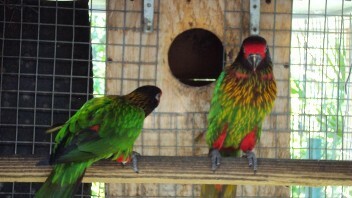 Photos are of my adults and represent what type of Lory the chicks for sale are. I do not take payments on chicks that are not even hatched yet. I only sell/commit chicks after they are hatched and I feel that they are on track. 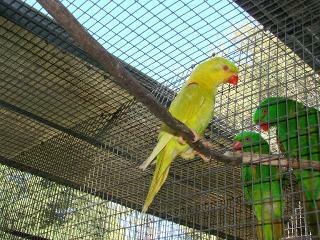 Prices quoted are for unsexed unweaned chicks unless stated otherwise. Because someone was confused as to if I sold eggs or not, let me state it clearly. I DO NOT SELL EGGS. I only list eggs coming up to give people an idea of what types are pending hatching in the near future. Last updated 03/15/14 I am only selling hand feeding babies (that means unweaned) at this time. Medium sized Rainbow. Great pets. Great speech capability. Breeds year round. Medium sized Rainbow. Breeds mostly year round. Great pet, good speech capability. Breeds February through Sept/October. Handfeeding unsexed unweaned. Breeds mostly year round. These guys are great little characters. Breeds mostly year round. 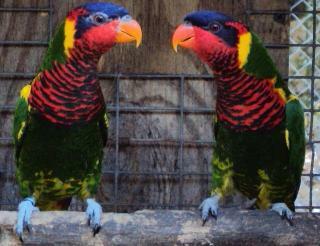 Medium sized Lory. Beautiful striking birds. Generally make great pets. Breeds March through September. 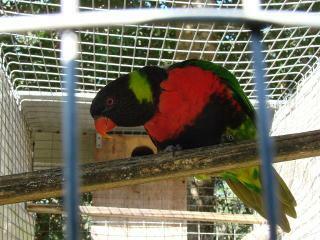 Large size Lory. Great speech capability. Breeds January through May/June. 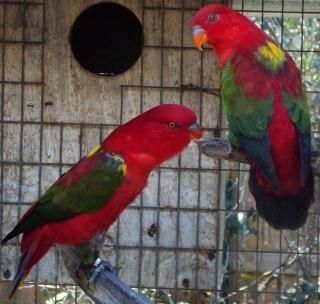 Large sized Lory in the Black Capped family. 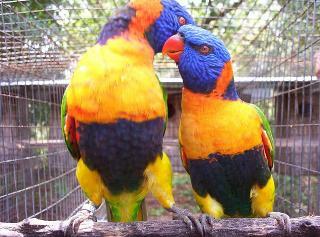 One of the best speech capabilities in the Lory family. Breeds January through June/July. 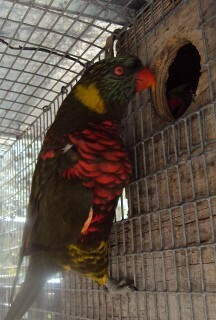 Medium sized Rainbow Lorikeet. Breeds mostly year round. 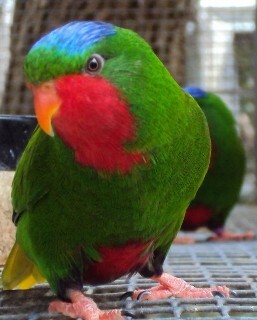 Medium-small sized Rainbow Lorikeet. Breeds March through July. 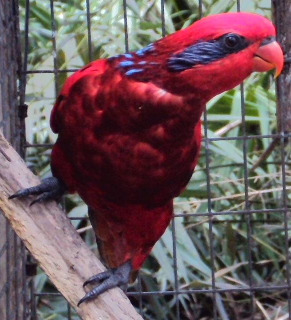 Large sized Lory. Make great pets. Breeds January through June/July. 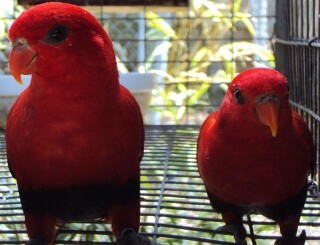 Dusky Lories are very beautiful and entertaining but they tend to be a more of a high energy bird. They also can be a little on the louder side. Breeds April through July. Yellow Streaks are a larger lory (in the same family as the Black, Duvy and Cardinal) They tend to be a very playful lory and will act like a baby for a long time. (most of them) Breeds January through June/July. One of the smaller Eos. Abdomen is actually a very dark purple. Breeds March through July. 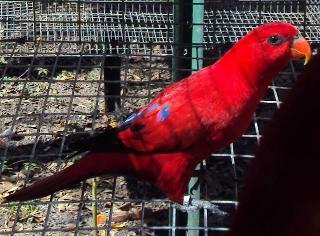 One of the smaller Lories. 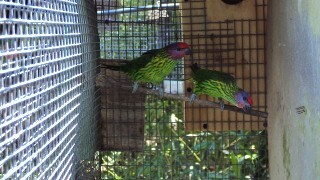 They are about the size of a small Love bird. They tend to be hardy. 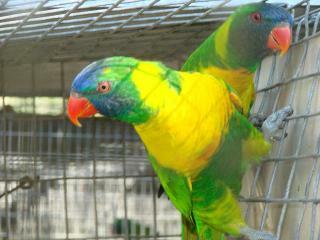 They are playful and make a neat sound (sounds like a Blue Bird) and tend to be fearless. 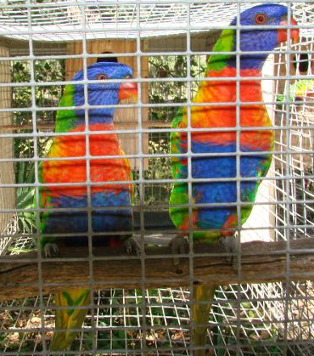 They are definitely on the rare side in aviculture. 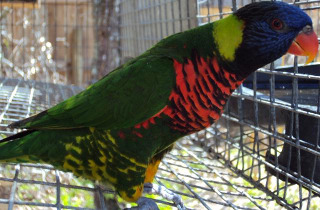 A larger Lory. 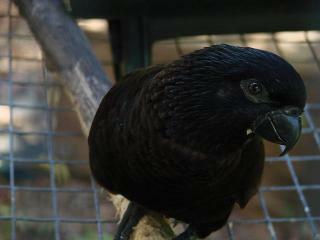 They are the same size as Duvyenbode's or Black Lories. They are playful. These guys originate out of the Solomon Islands. 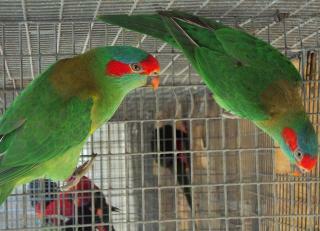 They are a bit on the rare side in aviculture. 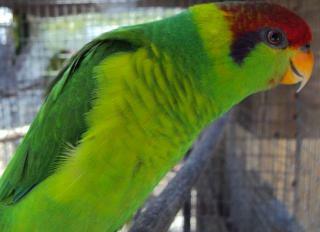 Olive Green Napes are a mutation of the normal Green Naped. Full package Lory. Beautiful, graceful, playful and quiet. 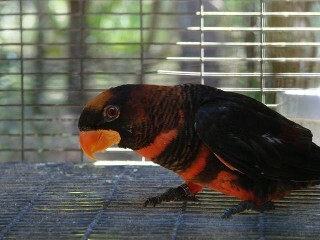 One of the few dimorphic Lories. Females have a yellow saddle patch on the back of their rump. 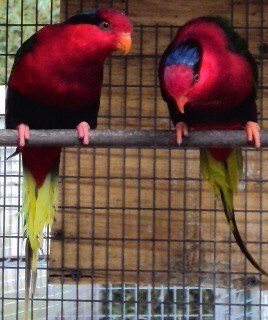 Same as the Red Lories but they are the Melanistic color. I equate their color to Welch's Grape Juice (looks black from afar but up close and in sunshine they are a dark purple) Dimorphic males have solid red on the back flanks and sometimes under the vent area.